New York police believe it has CCTV footage of the moment the city's latest terror attacker set off his device in a crowded transport hub. The suspect was injured and taken to hospital. His device - a pipe bomb - was strapped to his body with Velcro and zips but did not fully ignite. He has been identified as 27-year-old Akayed Ullah, a Bangladeshi immigrant . Three other people suffered minor wounds in the blast. "Let's be clear, as New Yorkers, our lives revolve around the subways," Mayor Bill de Blasio said at a news conference. "And let's also be clear, this was an attempted terrorist attack." emphasises the need for immigration reforms. "We do know, and the Department of Homeland Security has confirmed, that the suspect was admitted to the United States after presenting a passport displaying an F43 Family Immigrant Visa in 2011. And so we know that the President's policy calls for an end to chain migration, which is what this individual came to the United States through. And if his policy had been in place, then that attacker would not have been allowed to come in the country." The FBI has said the motive for the attack is still unknown - its not clear if the suspect was inspired or had any formal links to jihadists. 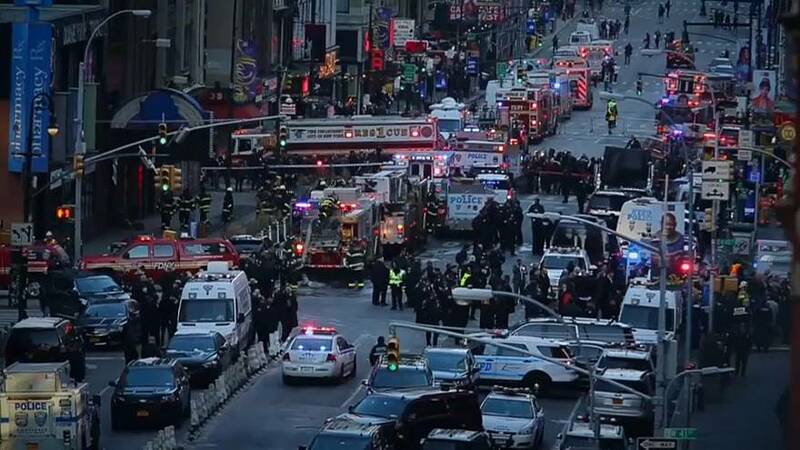 The Port Authority Bus Terminal where the attack took place is the biggest and busiest in the world serving more than 65 million people a year. New York has been the target of several recent terror attacks. The last was in October when an Uzbek immigrant drove a truck into pedestrians, killing eight people.